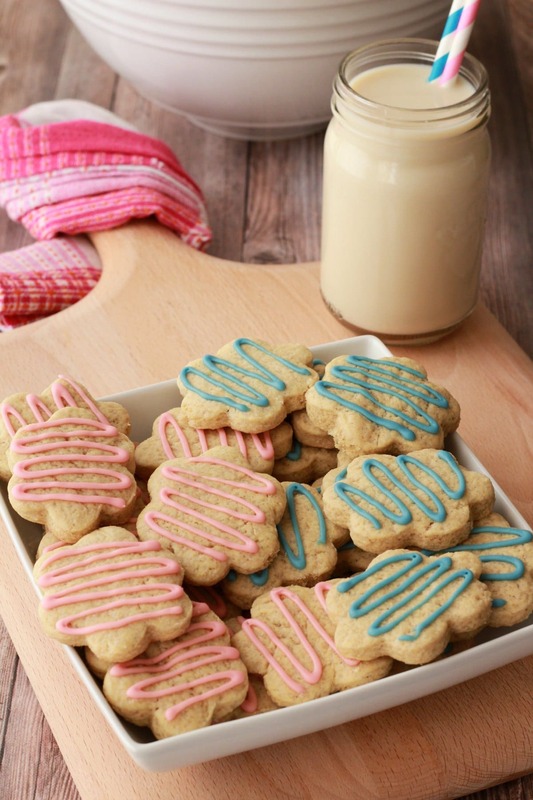 Colorful and fun vegan sugar cookies. 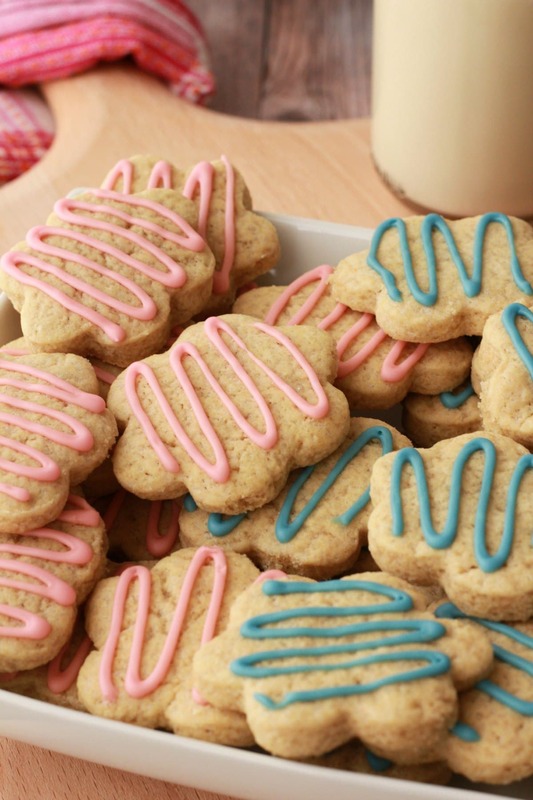 These soft and chewy sugar cookies are super easy and perfect for any occasion. You know, I love simple recipes. Whenever I consider any recipe, the first thing I’m thinking of is what ingredients I can remove and how I can simplify it. 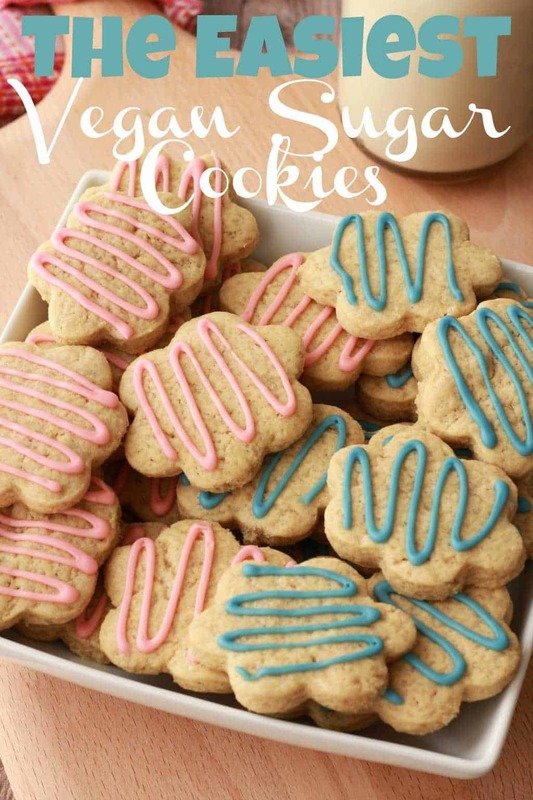 When it comes to these vegan sugar cookies, I wanted to make the easiest version I could think of. Even the frosting decoration is so simple it’s ridiculous. 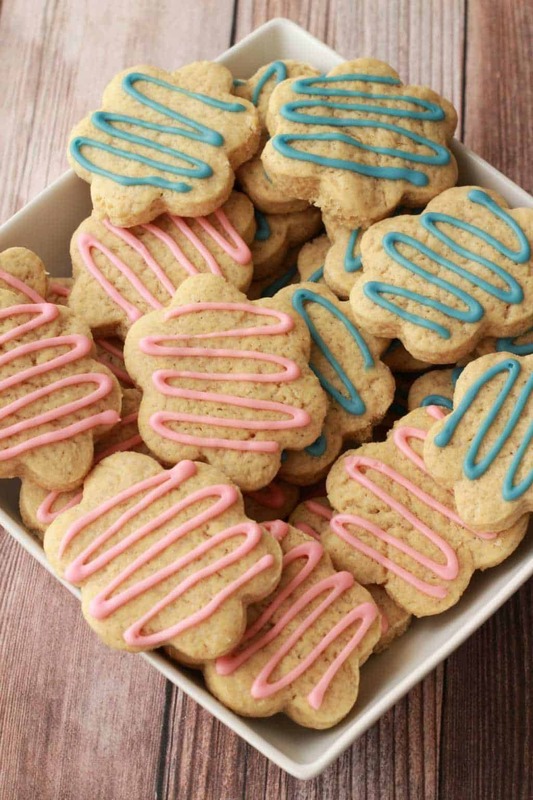 Sugar cookies are usually soft cookies and these are no exception. But if you prefer more crunch to your cookies, then just bake them a few minutes longer. 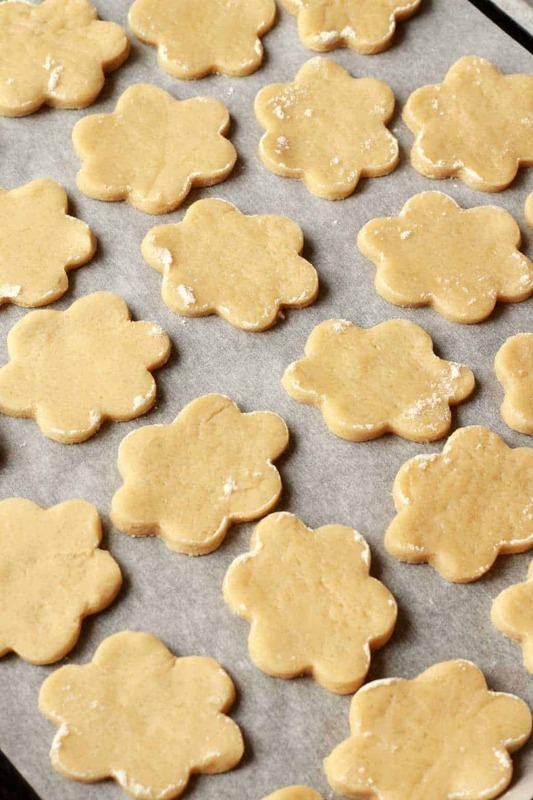 Sugar cookies also often use a little almond extract, just a touch, to bring out the flavors and add just a little hint of something extra. However, if you use too much you will get a bit of a marzipan vibe. And if you’re not a fan of the marzipan, you will not be charmed. In fact, even if you use the exact right amount of almond extract there might still be the faintest hint of marzipan that comes through. So again, if you don’t like marzipan, I would just leave this ingredient out. For everyone else who is happy for that slightest of slightest hints of marzipan to come through, carry right on. 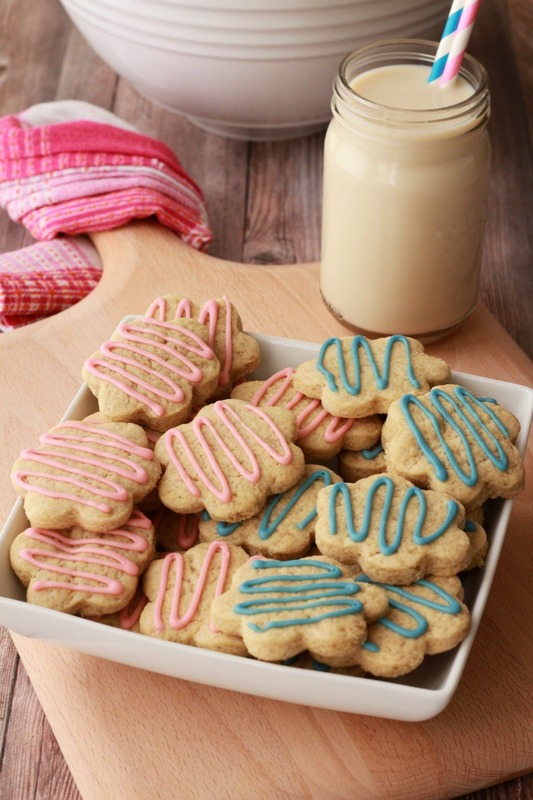 The decorating frosting is just an easy mix of powdered sugar, non-dairy milk and vanilla. I separated it into two bowls and added a drop of food coloring (red and blue) to each. I used so little that the red food coloring colored the frosting pink instead of red and I was pretty fond of the pink and blue vibe. This is definitely an occasion where you could use a few drops of beet juice for a natural food coloring if you don’t want to use regular food dye. But of course that will only work for the pink and not the blue. But in that case you could just do pink and white instead. This kind of frosting is a decorating only frosting, I didn’t add any vegan butter to it, so it ends up with a very gluey kind of texture. It’s not the easily spreadable texture of a regular frosting. It’s perfect for decorating though as it dries quickly and it stays in place. It’s the same frosting I used to paint the eyes and mouths on my vegan gingerbread cookies. Want to frost the whole cookie? 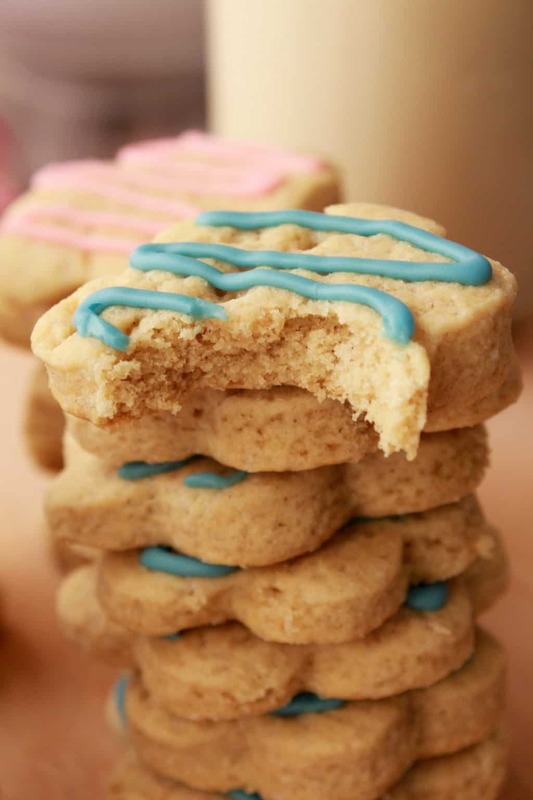 Sometimes you want to frost your sugar cookies completely, and not just do a decorating drizzle, and if that is the case, then I would suggest you use the frosting from our vegan chocolate sugar cookies. We frosted those completely, and added decorating sprinkles, and that was fun! And looked cute, if a little messy. Decorating things is not one of my strengths. 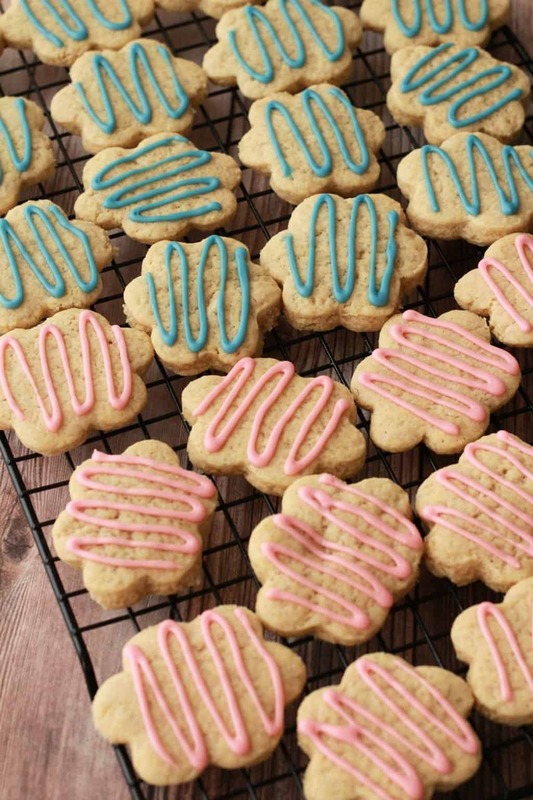 So you can do the same with these, frost them completely using that frosting recipe and then add sprinkles and decorations and anything you like! It’s definitely a good idea to weigh your flour so you make sure you use the right amount. Flour is a tricky measure to get perfectly accurate using the spoon and level method (the correct method for measuring flour when using cups) even for experienced bakers. Yet, using the exactly right amount of flour can be one of the most important aspects of getting a recipe right. The cookies puff up a little when baked. You can see this in the pictures above with our before baking and after baking shot. They do puff up a little. So if you need this to NOT happen, like if you are making very precise shapes and can’t have them puff much (or at all), then cut out the shapes as normal and place onto your parchment lined tray. Then place the whole tray into the freezer for 15 minutes. Then bake them as usual. This prevents the puffing if that’s important to you. Can I make these gluten-free? 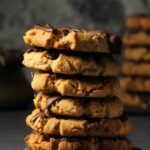 I haven’t tried with these particular cookies, but I have made certain other of my cookie recipes gluten-free with just a simple swap from regular all purpose flour to a gluten-free all purpose flour blend. 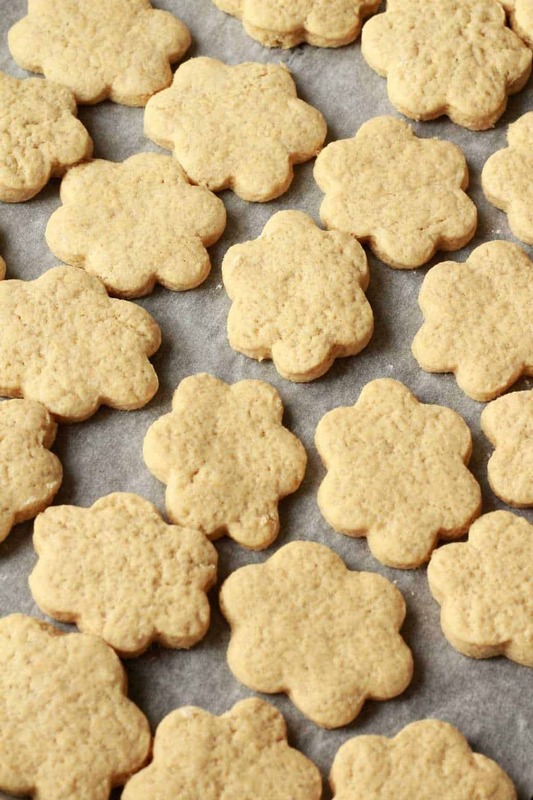 With cookies, it doesn’t seem as if any other changes need to take place other than the flour swap. It’s not the same as with cakes where there are other adjustments needed. What can I use instead of vegan butter? We have had readers comment that they used coconut oil and it worked well. You could also try making your own homemade vegan butter. 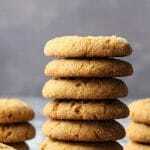 I have used that successfully in a couple of my other cookie recipes. 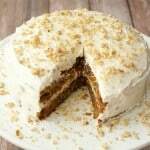 What can I use instead of the almond extract? You can just leave it out. Or add in a little extra vanilla extract. Can I make these in advance? Sure, you can make up the dough and then leave it in the fridge for 3 days and then roll out as normal and cut out your cookies. You can also freeze the dough and then let it thaw overnight in the fridge and then use it as normal. Can I freeze the baked cookies? Yes, you can. It’s better if you freeze them before frosting and then thaw overnight in the fridge and then frost them. Keep leftovers in a sealed container at room temperature and consume within a few days or in a sealed container in the fridge where they will stay good for up to a week. And loads more. 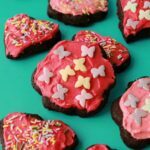 We love making vegan cookies on this blog so there are lots of vegan cookie recipes and more being added all the time. And definitely sign up to our email list – you’ll get a free recipe ebook containing 10 gorgeous recipes, and stay updated with all our latest recipe posts! *Nutritional Information is for 1 cookie of 30 excluding decorating frosting. 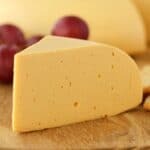 I’m not vegan, but had to go dairy free because I’m breastfeeding and my little one has a dairy allergy. 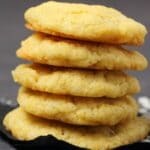 I have always failed with sugar cookies, but this is by far the easiest and tastiest sugar cookie recipe I’ve ever had! What type of sugar do you normally use ? I am trying it with granulated tonight as this is all we have in the house!! I have a vegan friend who helped me out this holiday season and wanted to return the love. 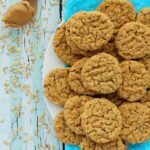 These cookies were were so simple and turned out fantastic! I made them them without the almond extract but added a bit more vanilla and they were delicious! I could not get the dough to ball up with 2tbsp…I used almond milk.I added more ,more and finally made a ball. Just didn’t come out, still dry and crumbly. Hi Steve, did you make any ingredient substitutions? You may just need more almond milk, if your vegan butter brand is one that is very hard at room temperature then it has a lower water content and you may need even more non-dairy milk. Hi Whitney, if you read the other comments some have used coconut oil as a swap for the vegan butter and said it worked out! Hi Alison, these look great! Just wondering if they are ok to freeze once made? This is my go to recipe. I dont use anything else for sugar cookies anymore. I have tried so many recipes and these are perfect. I whip the earth balance and sugar for several minutes scraping the sides now and then and find that it makes the cookies turn out delicious. Now I need to find the perfect chocolate crinkle recipe! 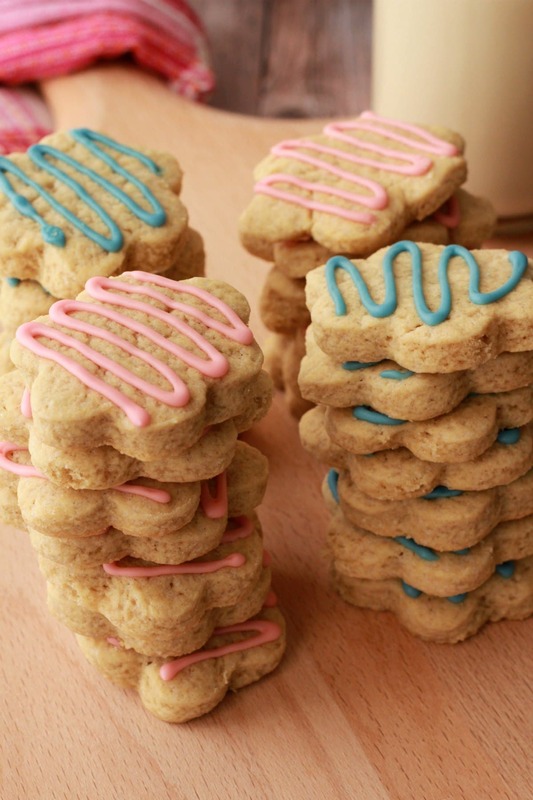 Hi, could you make these like drop cookies, I don’t want to mess with rolling and cutting. I’m lazy! These are delicious when dipped in coffee! This is the second year in a row that I’ve made these for Christmas. My family loves them! I did have to add a bit more soy milk to the dough but they’re seriously so easy to make. The icing dries perfectly. 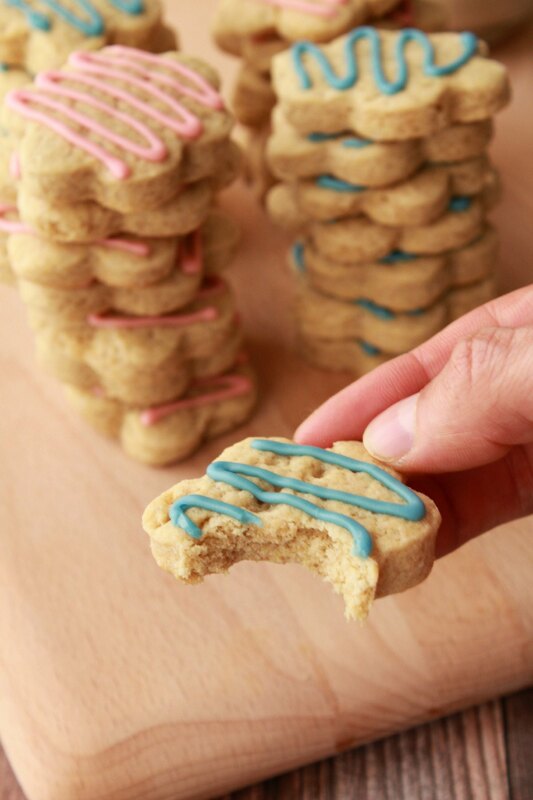 It’s so fun to experiment with different cookie cutter shapes. I’m definitely going to be using this recipe again for any occasion. I highly recommend trying this recipe. When I say NEVER, I mean never. I never leave comments on blogs, but this one was too good not to! I made your cookies on Christmas Eve Eve with my son to decorate with family and friends at Christmas Eve dinner. They were a hit!! 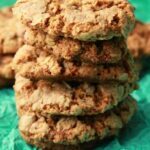 I have been exploring more vegan options because we found out pretty recently that our daughter, who is still nursing, has a dairy allergy (not sensitivity as many people assume are the same thing) and I was able to enjoy the cookies without guilt. Thank you! That touch of almond was fantastic! Everyone said they were good and for anyone wondering-they worked great with very detailed cookie cutters!! Thank you!! My friend and I made this recipe step by step (except not adding almond extract and just using vanilla). The butter we used was Smart Balance Original. The taste came out a little weird.. it has an aftertaste of odd chemicals. We don’t know what we did wrong because everyone is saying that they turned out great but ours just tastes a little bland (think cardboard!). Do you have any suggestions? 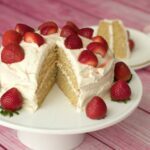 We really want to improve our vegan baking skills! Hi Kira (and Sara), is it possible you used a little too much baking soda? It should be a teaspoon measure and flattened off at the top. That’s all I can think of for an aftertaste, there aren’t any other ingredients in these that could really cause that. As for being bland, I really don’t know why that would be – again it can come down to measuring correctly so there is the right ratio of ingredients. Hope you’ll try some more vegan baking recipes! Thank you Alison for this great recipe. I just made this today and I can’t stop eating them with a cup of homemade cappuccino! This is great! Used coconut oil instead of vegan butter and worked perfectly. 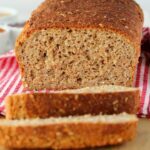 Amazing recipe, super easy and tasty! My apologies if this is already mentioned in comments and I missed it. We love every recipe of yours that we’ve tried and I’m excited to try this one next! Would canned coconut milk work for the milk in the cookie dough? Would you mix canned coconut milk and water together or just use it straight from the can? Thank you!! Can the cookie dough be made ahead of time (like 1 week ahead of time) then stored in freezer prior to baking? Hi Crystal, yes definitely! There are some great tips in this article about freezing cookie dough depending on how you want your cookies (rolled into balls or cut into cookie cutter shapes).